Originally set up as an in-house sequencing facility for Dalhousie researchers, the Integrated Microbiome Resource (IMR) in Halifax now serves academic and commercial clients from around the world. The Integrated Microbiome Resource (IMR) in Halifax is in high demand thanks to its flexible and comprehensive genomic analysis services. The Integrated Microbiome Resource (IMR) in Halifax is the only service of its kind in Atlantic Canada, performing DNA extraction, sequencing and analysis for a wide range of academic and commercial clients. The IMR was set up in 2014 to serve the growing sequencing needs of microbiome researchers at Dalhousie University. The concept was backed by the Centre for Comparative Genomics & Evolutionary Bioinformatics, a multi-disciplinary group that needed the resource. Soon, the facility opened to the public and the samples started coming in – not only from Atlantic Canada but from around the world. Since the facility opened, the number of samples has been skyrocketing, reflecting the surge in local microbiome research and the increasing majority of samples that are coming from international users. “It’s pretty surprising. We never thought the demand would be this great,” says Langille. The IMR offers two types of sequencing and relies on two Illumina desktop sequencer models to do it. The MiSeq sequences the 16S ribosomal RNA gene found in all bacteria and archaea. The results, when linked to genetic information stored in databases, identify the microbes in a sample. 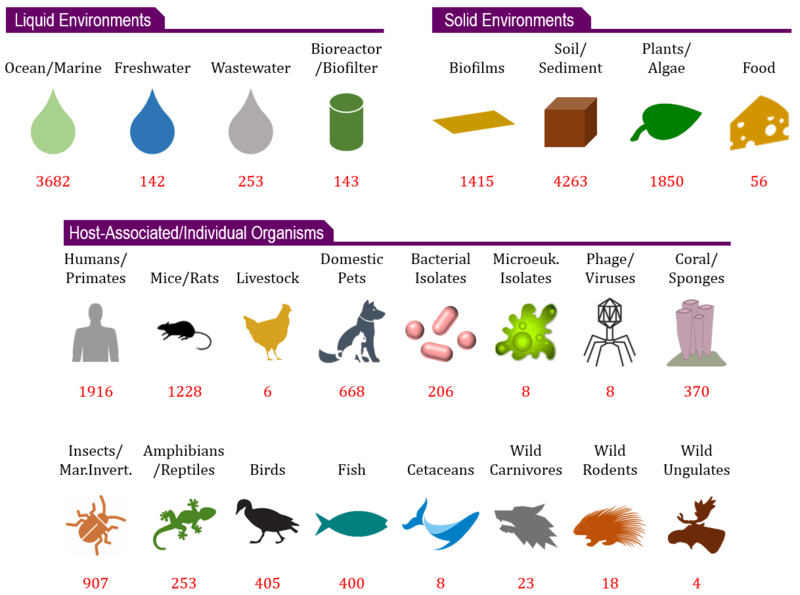 This is the standard method to detect microbial diversity and the one most frequently used at the IMR. While academic clients represent a big part of the IMR’s business, the facility has seen a recent spike in commercial clients from startups who are testing or researching new products to well-established firms such as probiotic producers and food manufacturers. Even though the IMR doesn’t have the capacity of larger sequencing facilities in other parts of the country, Langille says it offers many benefits, including comprehensive services and excellent protocols that outline how samples are sequenced and results verified. The IMR’s attractive pricing, due to low overhead and its not-for-profit status, is another draw, “As academic scientists, our goal is to help others conduct their research, not to make money,” says Langille. In just a few years, the IMR has grown from a facility that sequenced samples once or twice a month to a 24/7 operation. The demand for the IMR’s services is so high that there is a current backlog of one to three months for processing samples. Langille hopes to add a new sequencer soon that can whittle down the wait times while producing dramatically longer DNA reads. “The acquisition would enable deeper data dives by means of its longer readouts or by leveraging them with the capabilities of the IMR’s existing equipment,” he says.